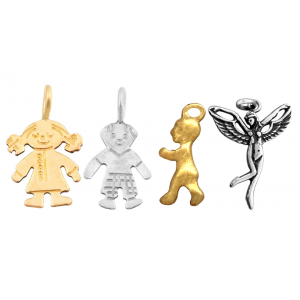 Sterling Silver 925 Cherub with Bow and Arrow Pendant, double sided, 20.5mm x 11.5mm. Approx. weight..